It is applicable to move. 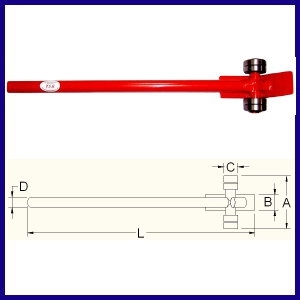 The movable load lever is made by steel bushing, and two wheels turn round smartly. It is a safe and necessary tools for warehouse, goods station, factory and so on. It is used to lift, move or transport heavy load easily. Material：Steel Bushing and Spring Steel.